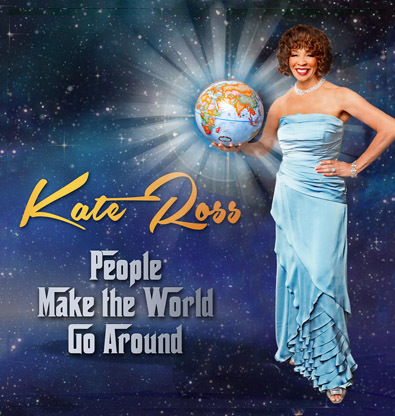 Still singing Jazz not singing the Blues is a mantra for seasoned jazz vocalist Kate Ross. 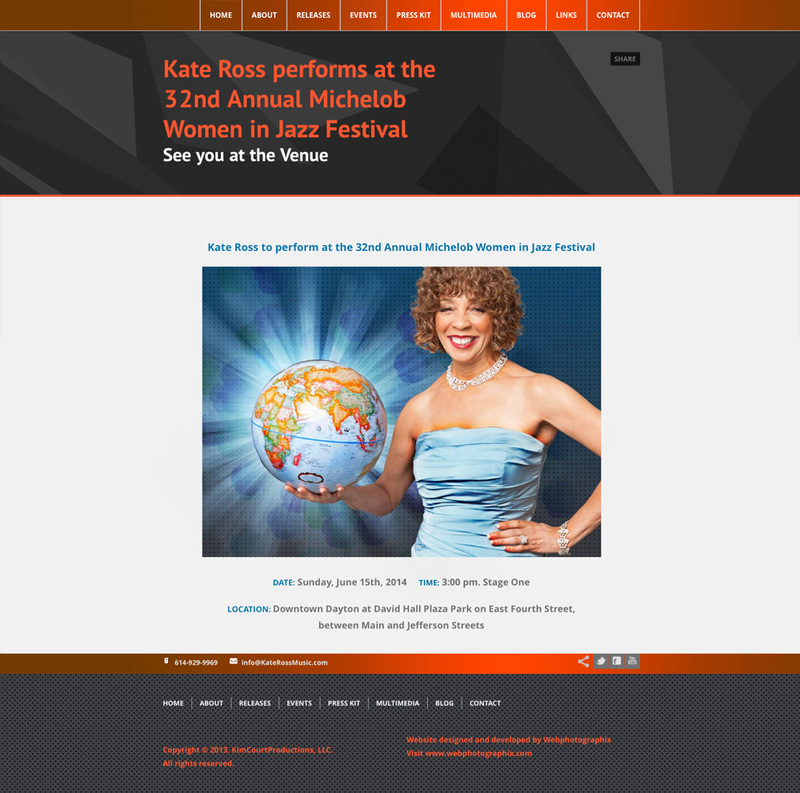 Despite illness, Kate has been charming and inspiring audiences for more than 30 years, with expert renditions of American popular songs, jazz and R&B songs in her distinctive contralto style. 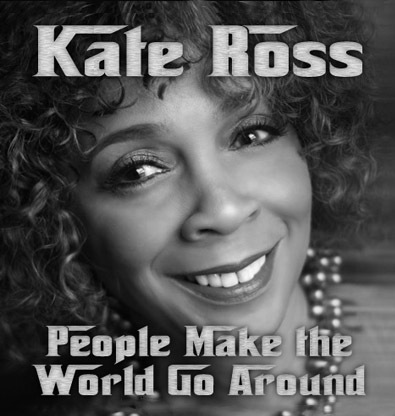 Check out Kate’s full bio and find out more about her debut CD, People Make the World Go Round. 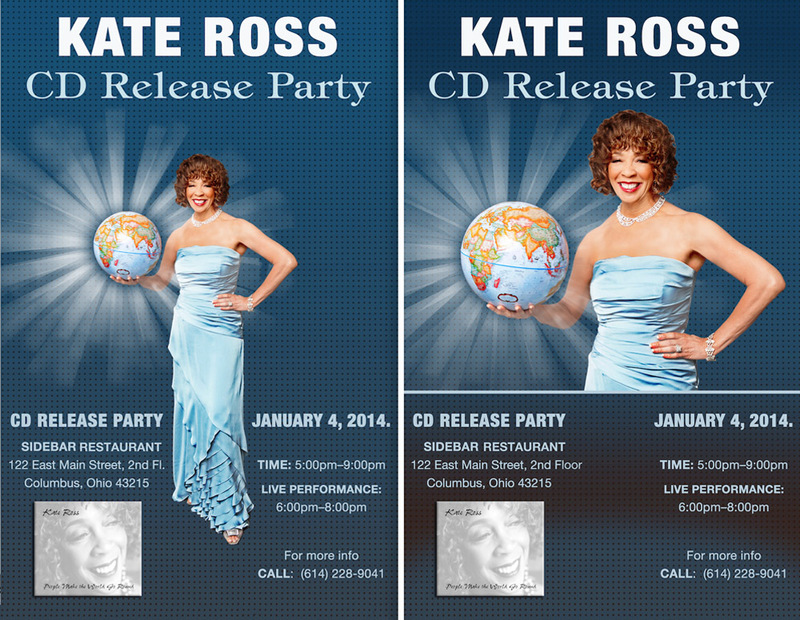 Create business collateral and marketing materials for Ohio Jazz Singer, Kate Ross. A Corporate Branding package comprising: Business Stationery (Letterhead, Envelope and Business Card) were put together. 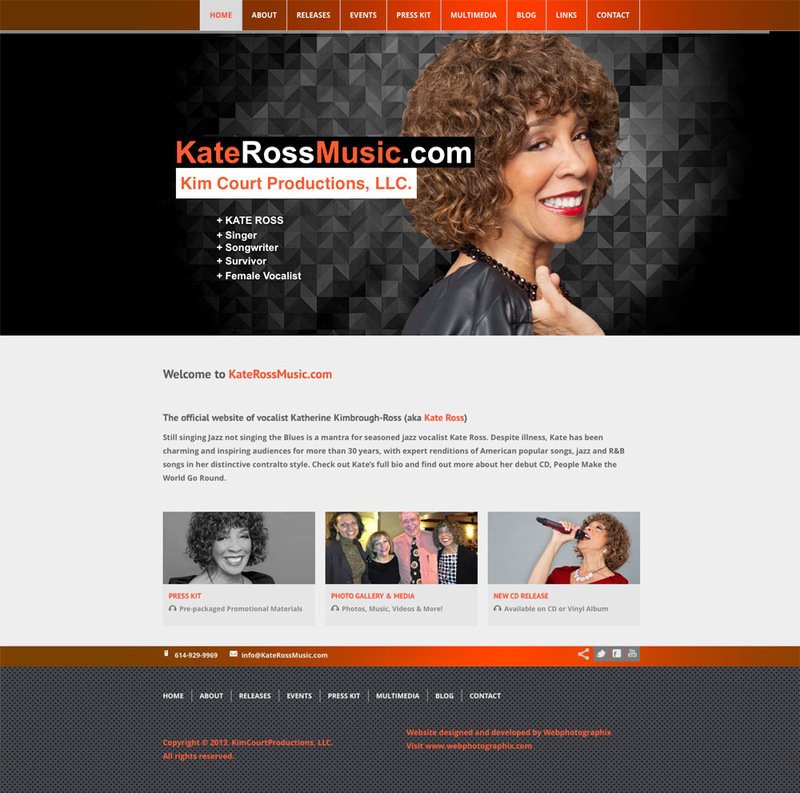 Two logos were created: One for Kate, and one for her company, KimCourt Productions. A Website Landing Page with 'under construction' timer, Web Banner ads and a responsive, multipage Wordpress Website with interactive slideshow, Media Gallery, Content Management Website (CMS) was developed.